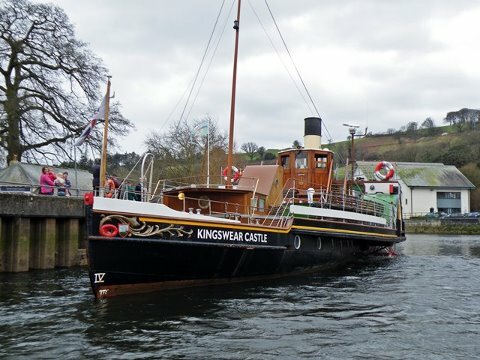 On Thursday 7th Febuary Kingswear Castle steamed up the River Dart from Dartmouth to Totnes on a trial run. This was her first call at Totnes since 1965. 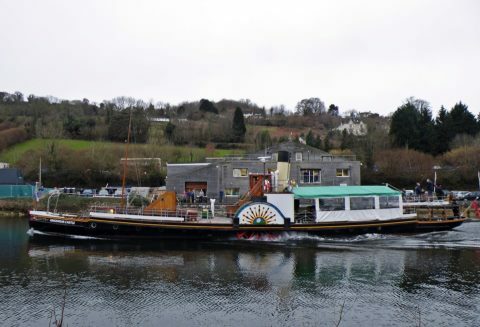 Since her last visit Steamer Quay has been widened so there is now a reduced turning space to allow KC to cant before heading back down river to Dartmouth. See also details below of the Wessex Branch coach tour on 16th June to sail on Kingswear Castles first public sailing from Totnes.